We’re all seeing it; kayak launches are getting crowded. 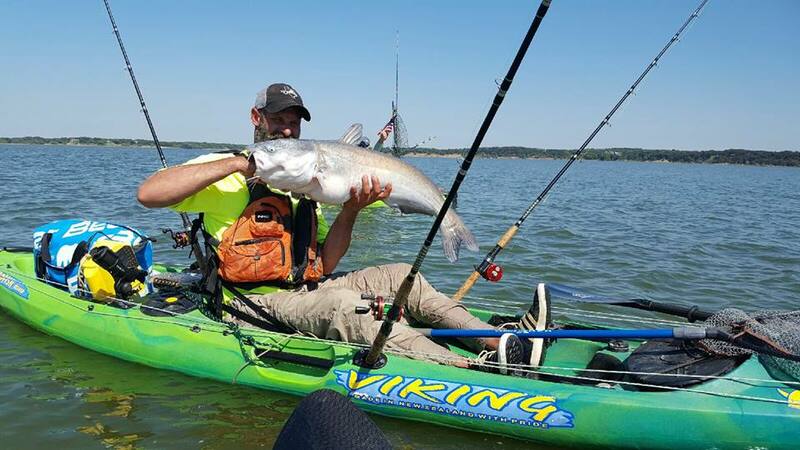 Sticking with our OG (OG is Original Gangsta for the slang challenged) series of kayak anglers, we talked to YakGear Brand Ambassador Christian Myrick to see how things have changed over the years. For Christian, it’s nothing new – spring brings new kayak anglers. A: Kayak fishing has come a long way since I started in the very early 80’s. Everything is much diffrent than what we had. Now, kayaks are made for specific types of fishing. There are a ton of accessories from companies like YakGear, paddles are lighter, rods are stronger, and gear is more specialized. The information has become much more available also. 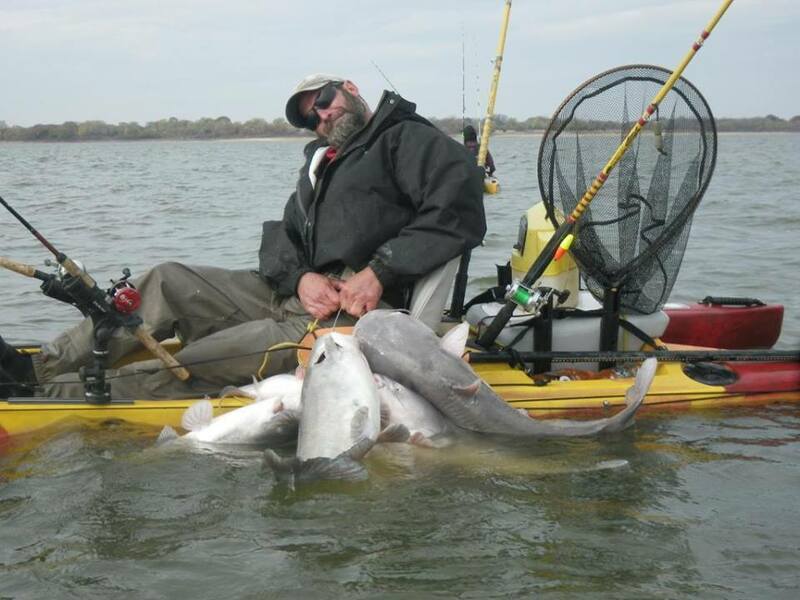 Now, its not hard to find an experienced kayak angler for almost any type of condition, species, distance, etc. There is always someone to ask advice and learn from. 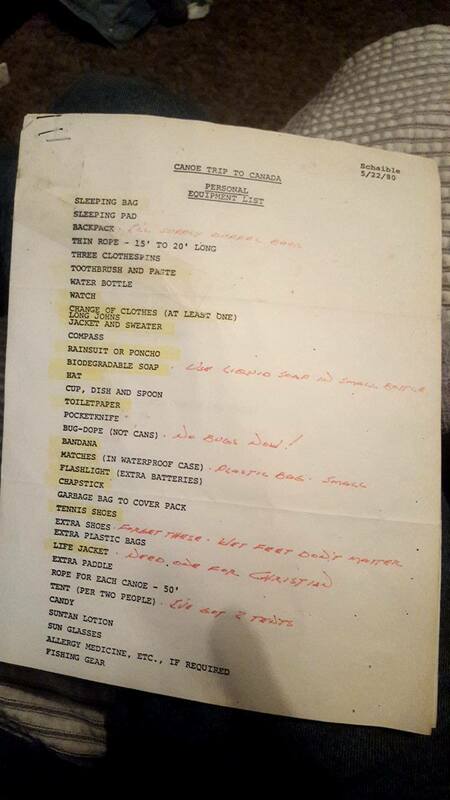 A packing list from one of Christian’s first paddling and fishing trips. A: Social media has done great things for kayak fishing. First, anything you want to learn about is out there. Videos, blogs, forums and all other social media formats are filled with guys who have done it. You can see people fishing for things that seem impossible from a kayak. It is amazing to see. A: A PFD is the most important piece of gear you can have. After that would be an anchor trolley. For us, it’s safety. Being able to control your kayak in the wind and waves is more than just an increase in fishability – it’s for our safety. A quality paddle is third on the list. With the paddle being your motor, it is important to get one that properly fits and is suited to your swing. A: The best advice I can give a person starting kayak fishing would be to know your limits. It is exciting to watch Robert Field, Glenn Madden, Chris Castro, and so many others catch all of these amazing fish offshore and beyond. But, you have to know that they didn’t learn it overnight. It took time for them to gain the skills necessary to do what they do. Learn self-rescue – not by reading but by doing. Practice, know you can re-enter your kayak in deep water with your PFD and gear. Focus on proper paddle technique. That gets you to the fish and back home. Once you’re comfortable with the basics, move on from there.